SOLIDWORKS World 2018 ended a few weeks ago and to say that it was an awesome event would be the undersell of the century. The entire week was jam-packed with amazing guest speakers, inspiring breakout sessions and a much needed break from the sub-zero temperatures of the Midwest (thank you, Los Angeles). This was my first time at SOLIDWORKS World and I didn't know what to expect really. You can get a general understanding of what happens from watching recaps of past Worlds, but nothing can compare to the energy of being there. Whether it's the announcement of a new feature coming down the line or one of the guest speakers sharing their story, the level of excitement felt throughout the conference is truly inspiring. 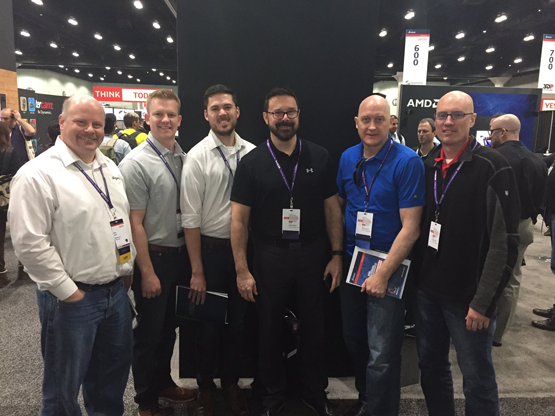 I decided to sit down with the Alignex techs that attended SOLIDWORKS World 2018 and find out what tools and features stood out to them and what they mean to the future of SOLIDWORKS. What do you feel was the overall theme of this year's conference? Mack - "SOLIDWORKS continues to develop and add new capabilities. It's going to be better than ever with the cool new cloud capabilities." Mike - "Definitely the 3DExperience was one of the main themes, but I believe overall it was innovation. So many companies showing how they are breaking barriers and re-imagining how we use not only SOLIDWORKS, but technology as well." Tim - "The 3DExperience platform and how it enables, supports, and encourages collaboration and innovation within design teams." Were there any new features presented that really stood out? Sam - "Adding functionality to Topology study: being able to use stress, factor of safety and frequency as constraints. Also, the mesh slicer which will make the topology results more usable for modeling." Mack - "Yes! The CAD data translation one showed how we can now bring in ASSOCIATIVE 2D drawings from PTC and Inventor! Also, the 3DExperience one showed a new product coming out called 3DExperience PLM Platform which I am very excited about." Tim - "I'm really excited about some of the new tools available for topology optimization. With additive manufacturing capabilities getting better every day, these generative design tools are becoming mainstream." Mike - "I think that the online collaboration and Marketplace Make available with Subscription support is a great way for customers to maximize the value of Subs. The Marketplace, if implemented properly, will significantly impact the ability of customers to find qualified manufacturers and 3D content online." Why do you think people should attend/what are the benefits for a customer, SOLIDWORKS Professional, etc? Jesse - "People should attend to stay on top of new technologies, network with the vast community as a whole, and bring fresh ideas back to their companies and design processes in general." Sam - "Where else can you get this kind of experience, being able to directly learn and interface with SOLIDWORKS gurus?" Tim - "SolidWorks World is a great place to discover brand new engineering and manufacturing technologies, learn about SolidWorks tools directly from the teams who are developing them, and network with your peers from around the industry." Mack - "Tons of technical content, exposure to what's coming in the near future and a great networking opportunity." Mike - "Networking with other users and resellers is a huge opportunity at SWW. So many different people with lots of different ideas. Not to mention the great technical content that can be used to increase productivity in SW."
What excites you about SOLIDWORKS going forward? Sam - "Seeing SW be proactive about driving change, rather than being driven by it. Both with new products and new functionalities." Mike - "How SW and Dassault are always interested in breaking barriers to push innovation, creativity and improve the world around us." Jesse - "Seeing all the amazing products people design and hearing them share their stories." Tim - "SolidWorks continues to expand and adapt their products to meet new industry demands." Mack - "Seeing customers and learning about all the cool new technical capabilities coming down the pike!" SOLIDWORKS World is way more than just your average software conference. It's a place where innovators, experts and risk-takers come together to share their stories in an effort to help push the world of manufacturing and design to levels it's never gone before. It's where ideas meet reality. 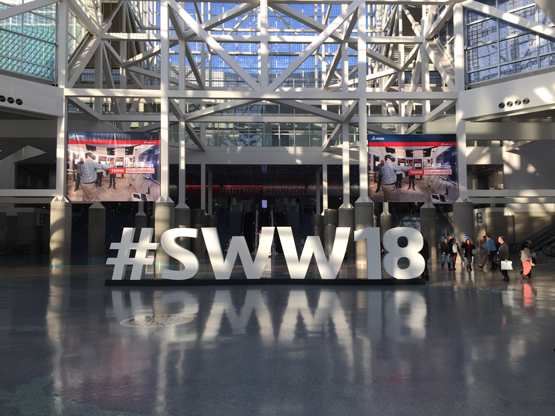 If you are feeling stuck when it comes to your designs or are wondering where to go next with your manufacturing process, you owe it to yourself to check out SOLIDWORKS World in the coming years. The amount of knowledge, networking and inspiration you will find is definitely worth the time and money. Don't forget to subscribe to the Alignex Blog below to always stay up-to-date in the world of SOLIDWORKS.